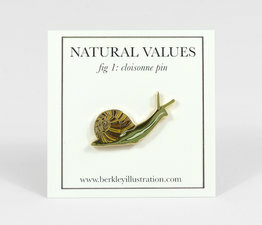 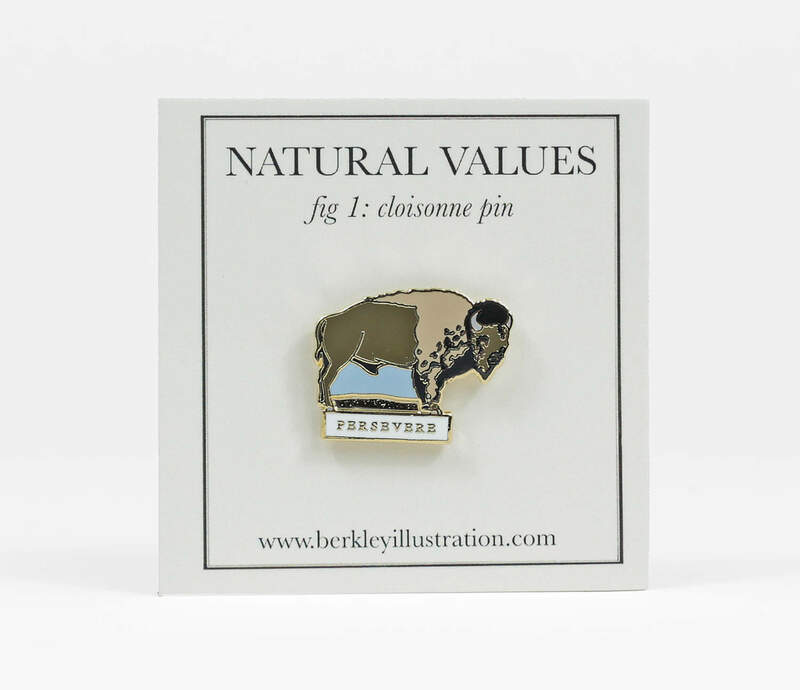 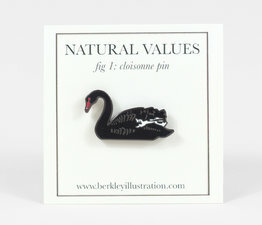 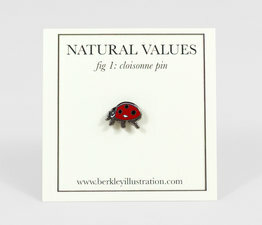 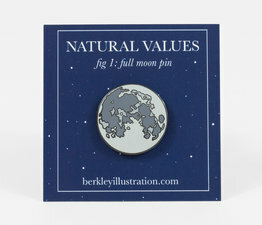 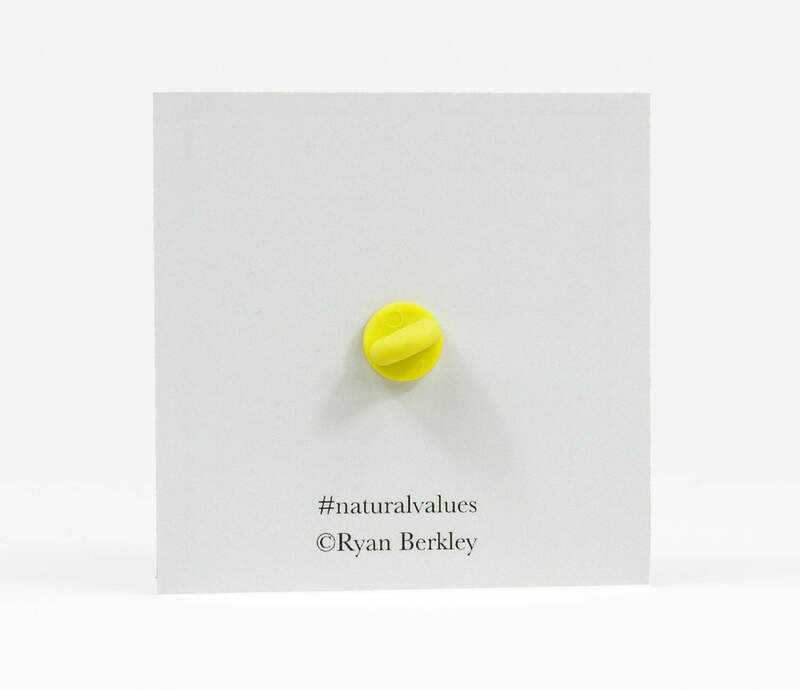 From a new series by Ryan Berkley, the Natural Values collection explores the natural world and the lessons it teaches and inspires in human culture. 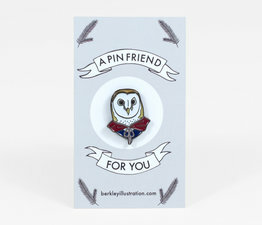 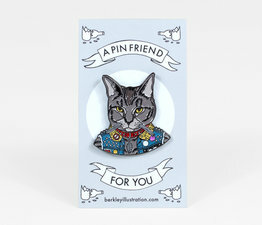 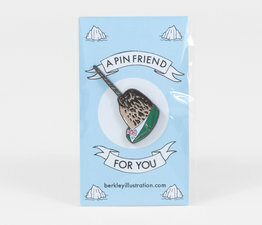 These pins are adaptations from his original artwork from the show. Five color buffalo design, with golden lettering and outline. 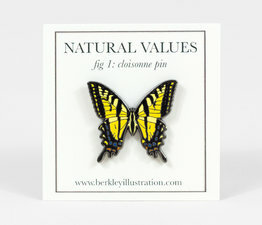 Hard enamel, cloisonne pin with a non-slip yellow rubber clutch.